One of the most common issues we see is pink slime building up in the commercial dishwasher cabinet, or around the hood. In most serious cases, even the flat stainless-steel surfaces around the cabinet are affected. This article looks at the common causes and methods for prevention. Many operators think that pink slime building up is a regular practice and just a sign that the dishwasher is due for a deep clean. While it is true that deep build-up cleaning will resolve the problem, operators should also investigate the root cause of why it is developing, particularly if it is frequently returning. What is The Pink Slime? 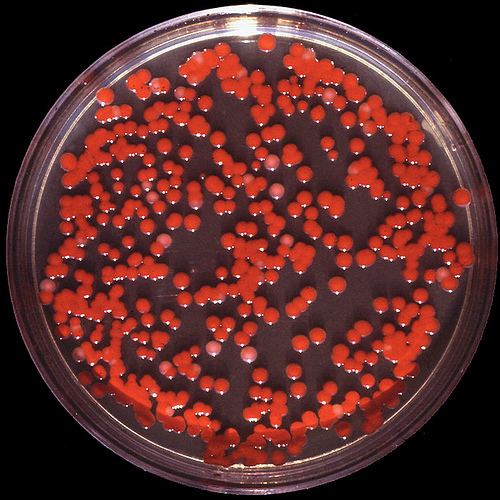 Plain and simple, the pink or orange slime is bacteria growth, not too dissimilar to that which you may have seen developing in other humid areas around your home, such as a shower or bathroom. The most common type of bacteria is a form of non-contagious salmonella mould. However, there are hundreds of different variants that could develop, some of which can pose a severe health risk for your customers, so it is essential to deal with the problem quickly. If not maintained correctly, a commercial dishwasher can be a perfect place for bacteria to develop. The humid environment is ideal for bacteria growth, and this can be exasperated by incorrect temperatures or a source of food inside the machine. If configured correctly, the machine should maintain a suitable temperature to prevent bacteria development. However, many external effects can impact its ability to do so. The most common issue is operators leaving the door to the machine open for prolonged periods, particularly when loading plates. This is often exasperated in winter as the cold air meets warm air, causing excess humidity and condensation. Any food debris that enters the cabinet of your commercial dishwasher is the perfect source of food for bacteria grease. Fats, oils and greases are commonly allowed into the dishwasher if proper pre-washing regimes are in place. 1. Keep door shut whenever turned on. Dishes should be loaded separately to the basket before being placed in the dishwasher. Never load up with crockery while the door is open. 2. Keep the door open at the end of the day. Wipe down the inside of the tank with a sanitiser and then a dry cloth to remove any damp or condensation. 3. Prevent food waste from entering. Ensure all plates are pre-washed before they are placed inside the dishwasher. Things do not have to be spotlessly clean but preventing large chunks of food or gravy from entering the machine will reduce bacteria growth and avoid other issues such as blocked filters and jets. 4. Ensure the correct temperature. Check the configuration of your machine to ensure it is delivering washes correctly. 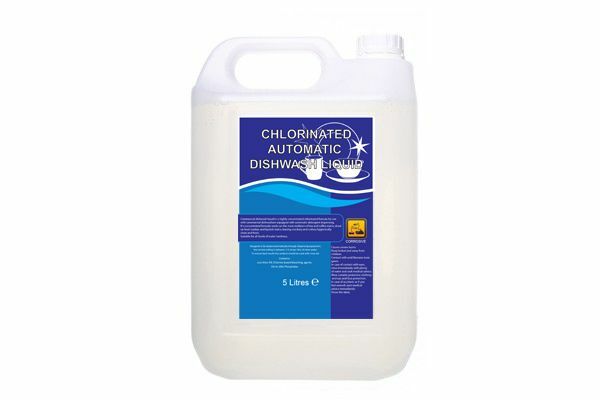 Our recommendation for a commercial dishwasher is a 55c wash and an 85c rinse. The lower wash temperature should allow detergents to work effectively while the hotter rinse should kill any bacteria. In some cases, either a lack of appropriately dosed chemical or too much chemical can cause bacteria to build up. Always refer to manufacturer’s specifications and your chemical suppliers’ concentrations. 6. Switch to a chlorinated detergent. 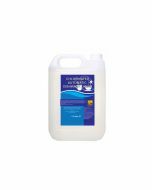 We highly recommend our new range of chlorinated dishwasher detergents that have been proven to prevent bacteria growth from forming inside the machine. 7. Check the location of the machine. In ideal cases, the machine will not be located next to any appliances that are likely to be a source of cold air, such as ice machines or fridges. 1. Wash your machine with sanitiser. It is good housekeeping to wash out your machine with a kitchen sanitiser once a week. Just wipe down the inside of the machine and leave for the recommended contact time (usually 30 seconds). Then perform two empty wash cycles to rinse it away. 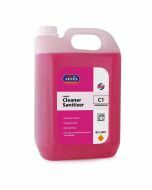 We recommend our Jeyes C1 Liquid Cleaner Sanitiser as it is certified to EN1276 and is effective against Salmonella. Avoid any non-kitchen sanitisers and bactericidal hard surface cleaners that are commonly used in front of house cleaning, as these are not always “food-safe”. 2. Get your machine serviced. We recommend an annual service by a qualified engineer to ensure that there are no hidden blockages, build-ups in pipework, filters or pumps that could be aiding bacteria growth.